Absolutely gripping story, very well rounded out characters and very satisfying ending. 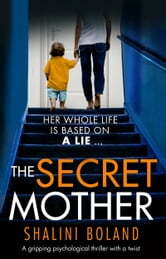 I loved this story and definately recommend it! I guiltily finished this book in one session. I could not put it down...the thought of not getting to the end NOW caused me anxiety. Tess is such a compelling character I was absorbed from the beginning and enjoyed the journey with her through the entire read! You just can't put this one down! This book is amazing. I usually don't finish books because I get bored in the middle but I couldn't put this book down. It was worth every minute. I finished this book in one night! Brilliant read...couldn't put it down. I ended up reading the entire book in one night. It's been a long time since I've done that!